8B LADY BEARS CRUSH MONTGOMERY!! 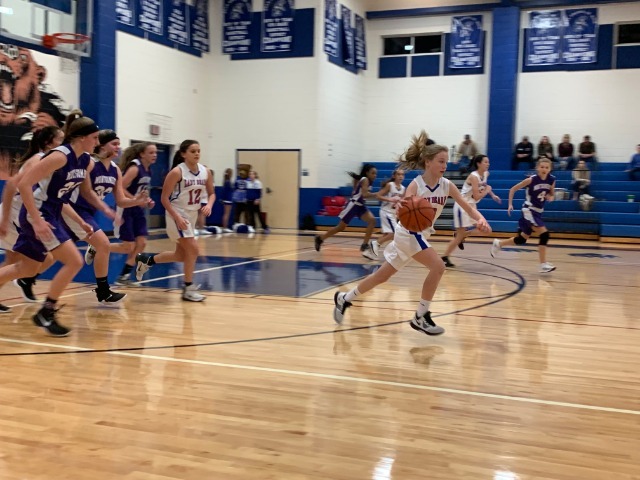 After a tough loss last week, our 8B Lady Bears redeemed themselves last night by CRUSHING Montgomery! Kailee Aznar got the crowd going and put our Lady Bears on the Scoreboard with a nice breakaway lay-up. Anzar was the lead scorer for the Lady bears with 8 points! **Awesome ALERT** EVERY SINGLE PLAYER on the 8B SCORED!! This made history for our Lady Bears team this 2018-19 Basketball season!! WOOOOO!!! A BIG shout out to Kaylie Jatzlau for scoring her FIRST basket EVER in a game (she accumulated 4 points overall.) Our Lady Bear Defense was UNSTOPPABLE. Kendall Moore led in Rebounds while Madison Goebel and Maddie Klemp had 5 steals each! Overall, our Lady Bears played a wonderful game against Montgomery and brought home the WIN, 33-9.